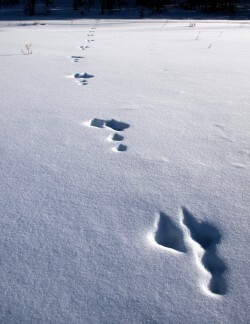 clue from their tracks–they tend to use the easiest routes around terrain. This entry was posted in Critters, Flowers&Fauna and tagged mountains, New Mexico, Sangre de Cristo, Santa Fe, snow, snowshoeing, snowshoes, tracks, wildlife. Bookmark the permalink.